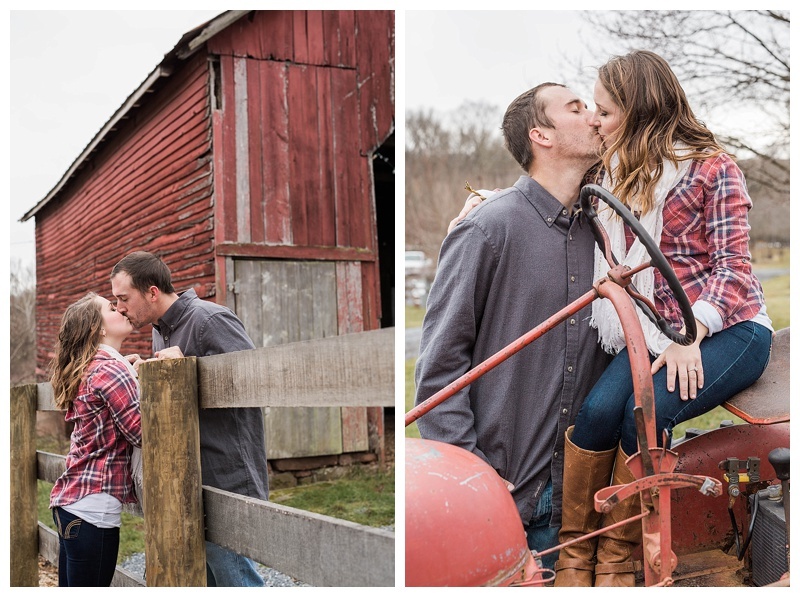 This engagement session is one I have been looking forward to for a while now! Cait and Billy have been friends of mine for somewhere around six years now and their love story is one I have followed the whole time. Cait and Billy are high school sweethearts who were meant to be together forever, and that is clear to anyone who meets them. Their happiness radiates off of them and becomes contagious. 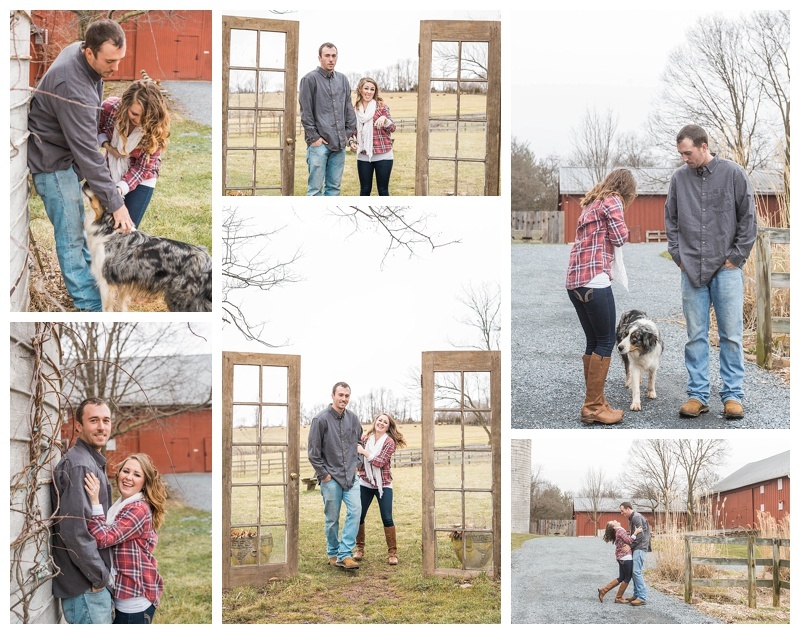 We took a visit to their wedding venue, Rocklands Farm (one of my favorites!) where we made the best of a bitter cold and windy day for engagement photos. 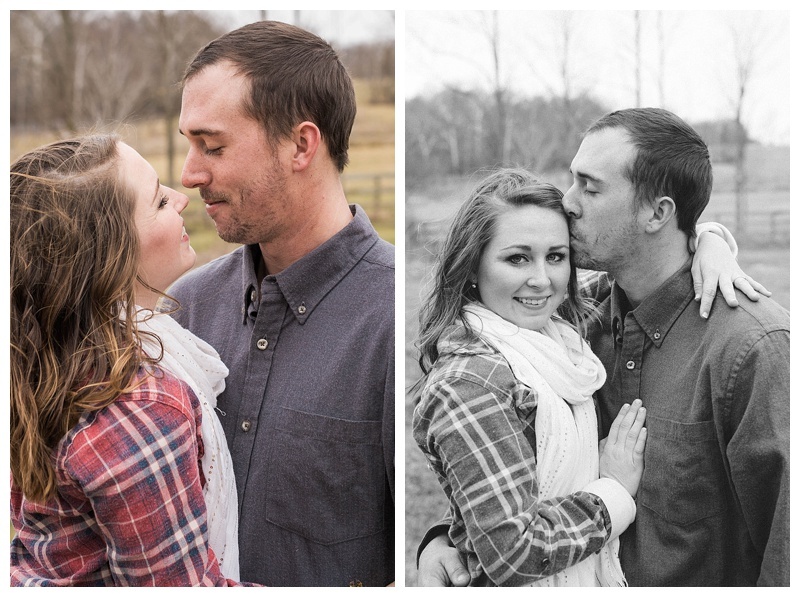 I was so thankful Cait and Billy toughed out the cold because we ended up with some adorable photos of them! 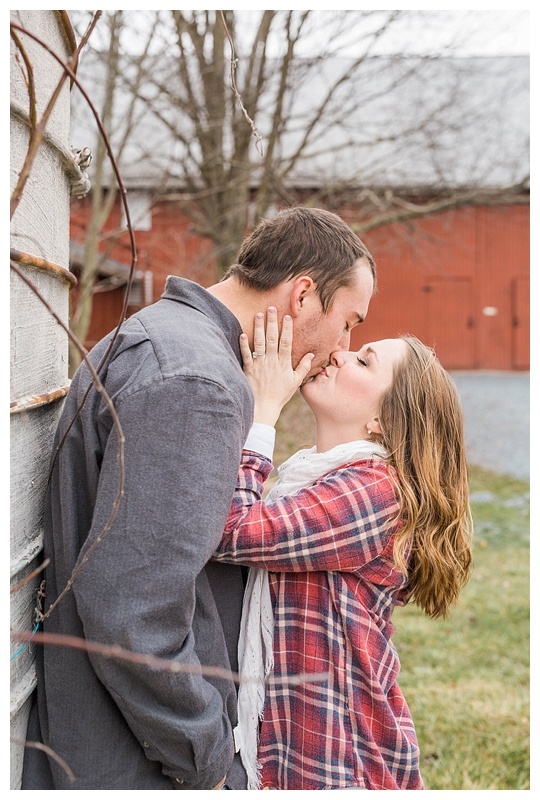 I am so excited for their wedding in August, I have been anticipating this day for several years! 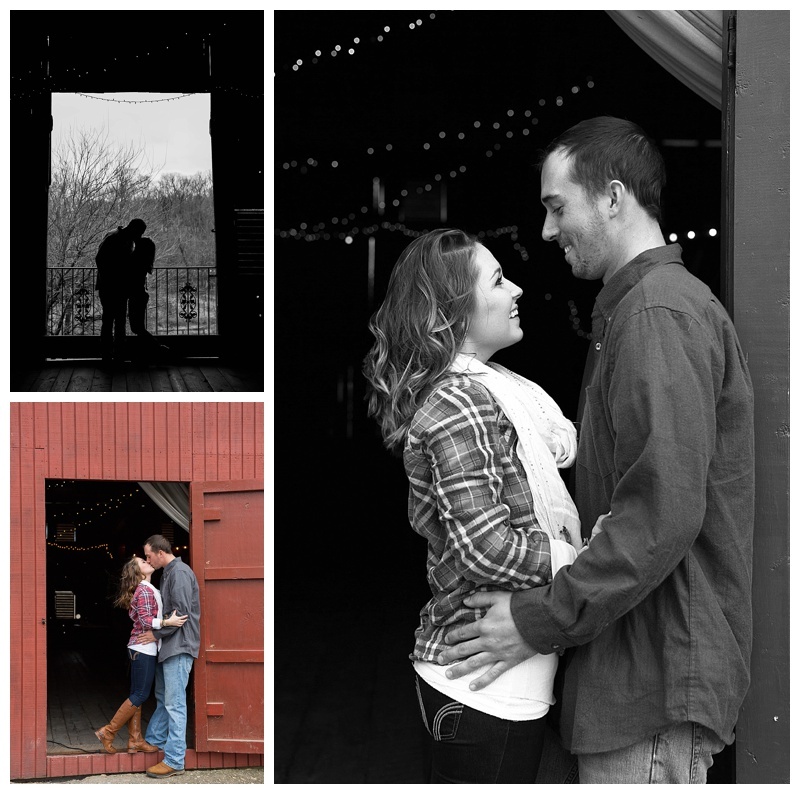 Until then, enjoy their engagement photos! And I love when we would get a smile with teeth from Billy!! Look at how happy they are!! 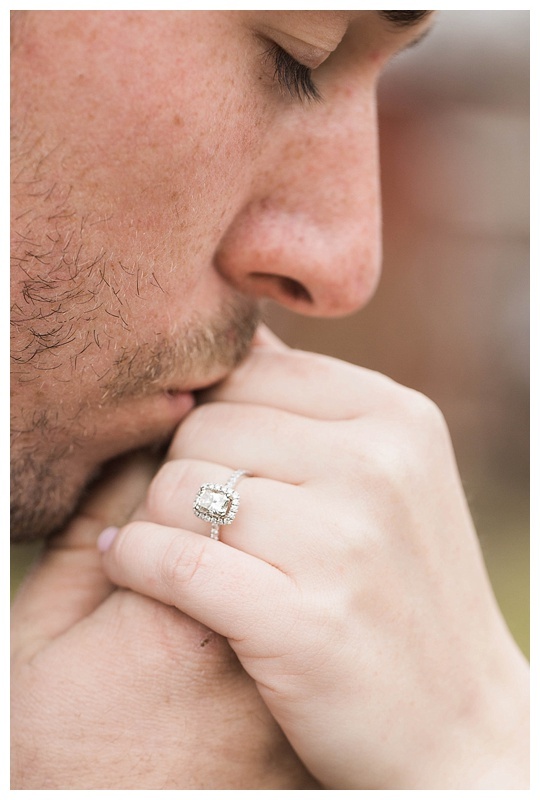 And how pretty is Cait’s ring?! 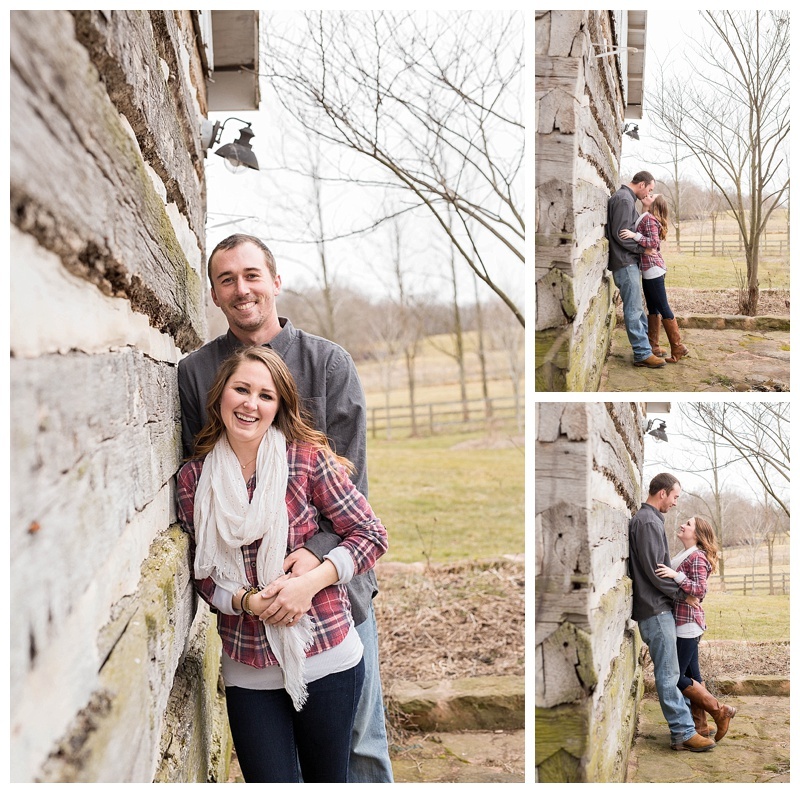 Our whole session was full of laughter and happiness! I love that they good off around each other always and laugh endlessly. It really is so sweet to watch. We also gained a fur friend during our session, we learned that throwing the ball, in fact, would not get rid of this cutie it would just keep bringing him back. Thankfully they avoided getting dirty from this mud covered pooch. Wow- you totally rocked this session. 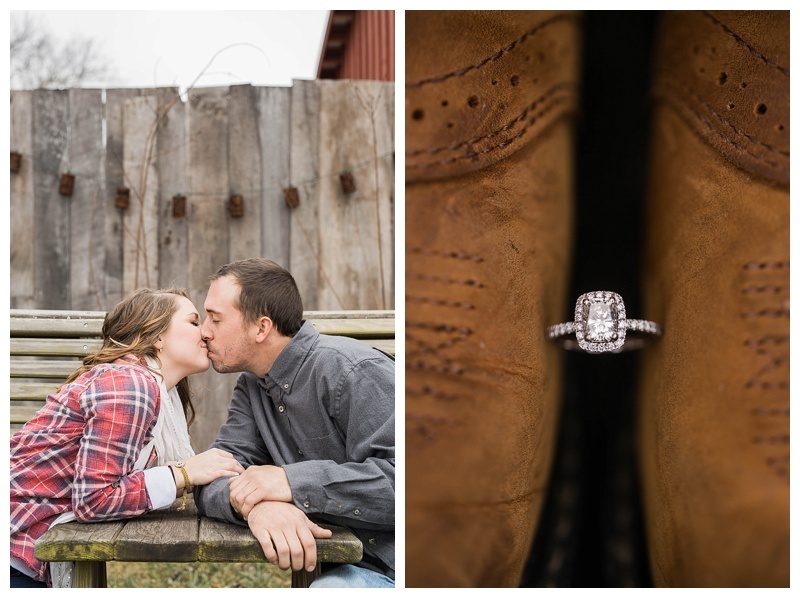 Rocklands Farm was the perfect backdrop… and that ring!!!! Stunning!